Just got confirmed - I've been selected as one of the many speakers at Kaleidoscope. Can't quite believe it, but it's a nice feeling :-) Now I gotta start writing the presentation and create demo scripts. Fun! In my previous post I showed how to use analytic rolling sums to do FIFO picking of items. But the final picking list of the solution had a weakness - the forklift driver picking the items would have to drive back and start from the beginning of each aisle in the warehouse. 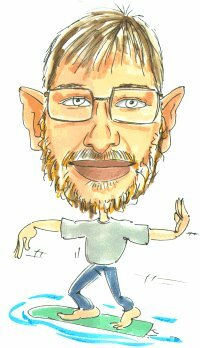 I'm Kim Berg Hansen and I work as Senior Developer at Trivadis Danmark. Since the year 2000 I have programmed quite a lot of Oracle SQL, a good deal of Concorde XAL, some Oracle PL/SQL, and a smattering of all sorts of other programming languages as the various tasks have mandated. I am OCE (Oracle Certified Expert) on Oracle SQL, and being honored to be an Oracle ACE Director as well. I am the main author of the SQL quizzes on the Oracle Dev Gym - a website by Steven Feuerstein where you can learn and hone your PL/SQL and SQL skills by taking weekly quizzes. I have joined the fabulous community of ODTUG and attended the Kaleidoscope (now Kscope) conference since 2010. I've presented on various topics at several Kscopes as well as other conferences. I plan to go to KScope every year in the future if possible - I can think of no other event as great as that :-) I can recommend going to Kscope, if you can make it. I'll be there for certain.